WestGate Church is teaming up with churches in Sonoma County to provide relief to hundreds of families whose homes were completely lost in the fires. 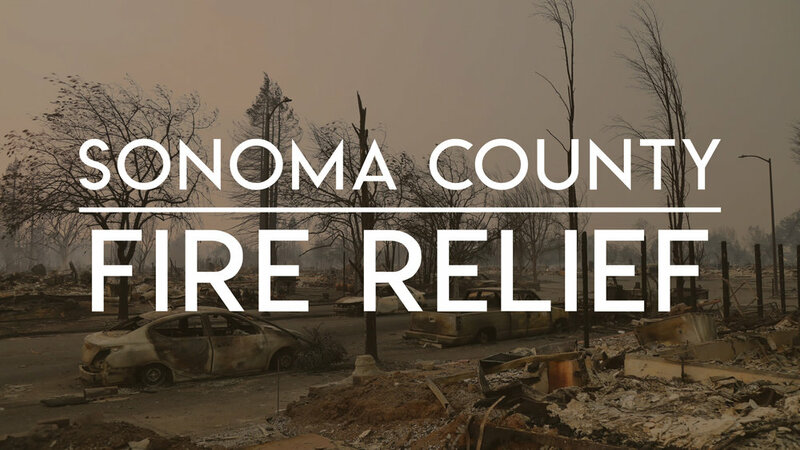 Last month, as part of WestGate Church’s four-phase plan to assist with the Sonoma County fire relief efforts, funds were donated to give emergency assistance to families in need. As our SoCo partner churches share with us their continuing needs, we will adapt our call to action to you. Right now, we have been asked to help provide SoCo Care Packs that will be distributed to families who have been placed in temporary housing, but have lost their homes and possessions. The following is a list of four ways you can tangibly help our neighbors to the north transition back to normalcy. Donate a complete SoCo Care Pack. Download the SoCo Care Pack List (click on the button below) to get a complete list of all the items needed for a complete SoCo Care Park. Get together with your family, your friends (or your Life Group) and purchase all the items for a complete pack. Purchase specific items from the SoCo Care Pack list. If you’d like to donate individual items, click on the SoCo Care Pack List below and review the list of needed items. Purchase whatever you can. Donate to LOUD and we’ll shop for you. If you don’t have time to purchase items, please donate to the LOUD Fund and we’ll shop on your behalf. You can drop off completed SoCo Care Packs and/or items from the SoCo Care Pack list at the South Hills Campus Main Lobby on Wednesday, Nov. 15th from 9am-1pm and on Thursday, Nov. 16th from 4pm-7pm. If donations need to be coordinated outside of this time frame, please email socorelief@westgatechurch.org. Please purchase only new items. Do not include used items. Please, do not bring items that are NOT on the SoCo Care Pack list.